The Export World is a leading cotton apron manufacturers and supplier in India. We are wholesale kid and children’s cotton aprons blank manufacturers in Kolkata. We are also plain cotton aprons wholesale suppliers from India. The Export World is a wholesale manufacturers of white aprons with pocket and logo. We are exporter and manufacturer of Printed Aprons, Restaurant Aprons, Kitchen Aprons. 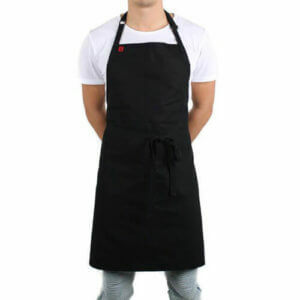 We are also wholesale chef aprons, cook aprons, hair dresser aprons manufacturers in India. Wearing an apron is usually a good practice to make your brand name recognizable, It is also to project a positive image of your employees and company. Choose an apron style that truly reflects your brand and how the public will perceive your brand. However, Restaurant Apron can protect an employee’s cloths or uniform from stains. It can also help in order to protect their skin. Choose an apron style which truly reflects your brand name and how the public will perceive your brand. Having a restaurant apron with pocket makes working much more convenient for your employees. They can easily hold cash, pens, notepads, and other items in the apron’s pocket. Kitchen Aprons also prevents the risk of getting infected. The simple step of wearing aprons can go a long way in reducing this risk. In addition, the aprons prevent your clothes from coming into contact with the food, germs, dust, hair etc. Printed Apron serves are very helpful to prevent hair, dust, and dirt. The Restaurant Apron serves as a barrier to prevent dust, hair, dirt etc. Restaurant Apron is required who handles food or works in a food preparation area. Apron are food safety tool like any tool. We are purple, black, yellow, red, pink aprons wholesale manufacturer and supplier in Kolkata. 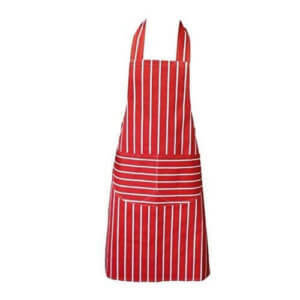 We are cheap wholesale aprons suppliers with logo and pockets. 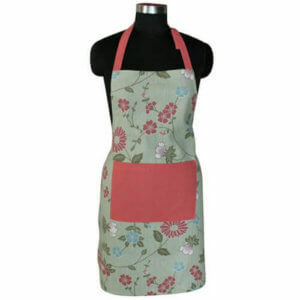 wholesale cotton fashion aprons manufacturers. After all, The Export World is a customize aprons suppliers and exporters India.